Ah, spring break. A time to pull yourself away from textbooks, excel spreadsheets or conference calls to just kick back and unwind for a little while. 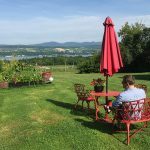 We know it can be tricky to squeeze in a tropical vacation in the middle of winter, and there’s nothing wrong with indulging in a little staycation to re-watch The Office for the fifth time, but if you’re seeking a solo escapade or family adventure, there are myriad exciting places to visit right here in Canada. Read through our list below and start pinning some ideas to your Pinterest travel board. When most people think of a vacation in Muskoka, they conjure up images of summertime by the lake. 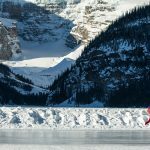 With its tranquil scenery and epic sunsets, it’s no wonder downhill ice cross athlete Scott Croxall affectionately calls it one of his favourite places in Canada. But with all the snow-filled activities available to us, the central Ontario region is also ideal for a week-long spring break getaway. 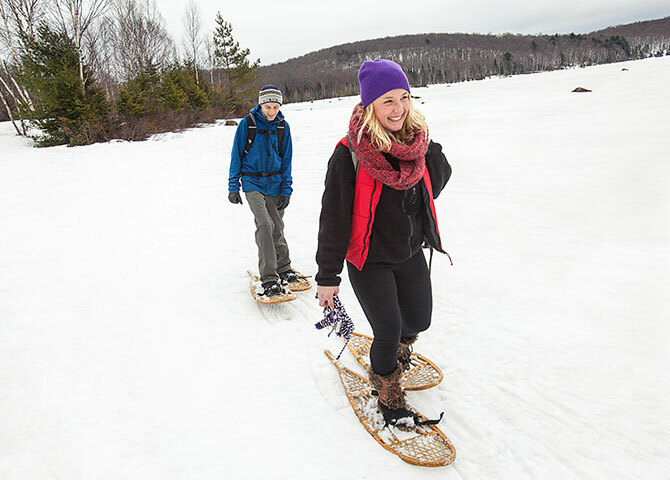 Outdoorsy types can take part in everything from fat biking and snowshoeing to dogsledding and cross country skiing. If you’re feeling gutsy, outdoor adventure and equipment company LIVOUTSIDE offers ice climbing excursions for every skill level, including several for climbing novices like yours truly. If you’re getting away with your little ones, there are several resorts including the Deerhurst Resort that offer March Break packages chock full of entertainment like snowmobile tours, snowboarding and trail rides on horseback. If you’re spring breaking with friends, there’s also something just for the grownups— you can pop by any of Muskoka’s half dozen wineries, breweries and roasteries for daily tasting tours, or treat yourself to a day of luxury and pampering at the Rosseau Muskoka Resort & Spa. If a big-city escapade is more your jam, head to Montreal . 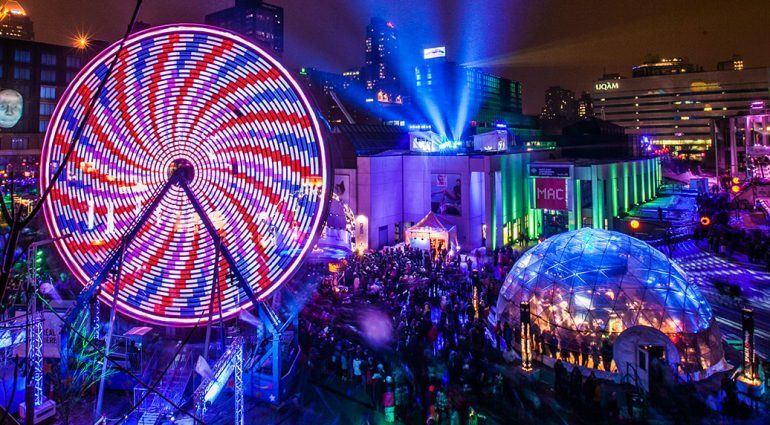 There is plenty to do here year-round, but Montrealers seem to have a special knack for taking advantage of even the chilliest of weather conditions and turning it into a party. Case in point: the Montréal en Lumière festival, where the entire city becomes a giant urban playground for 11 days. You can check out art installations, zip line through the downtown core, take part in culinary workshops, watch live musical performances and so much more. Many of these activities take place outdoors, so remember to layer up. If you’re all tuckered out from the festivities, take refuge in any one of Montreal’s many museums like the Musée d’art contemporain where you can admire modern and unconventional works by local and international artists. For the Leonard Cohen fans don’t miss the A Crack in Everything exhibit currently on display dedicated to the late, great Montreal poet. 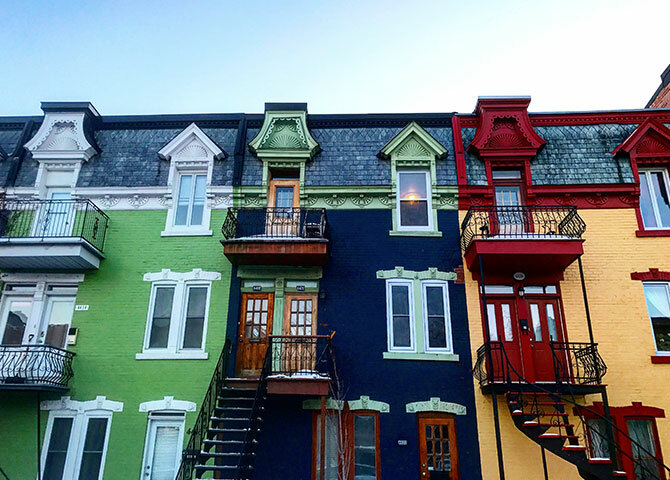 No visit to the city is complete without a stroll through the Mile-End and the Plateau Mont-Royal , two of its most vibrant neighbourhoods. 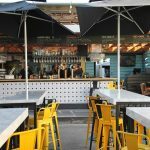 Born and raised in the city, I am perpetually on the hunt for good brunch options, and local eatery Fabergé serves up some of the tastiest grub around. 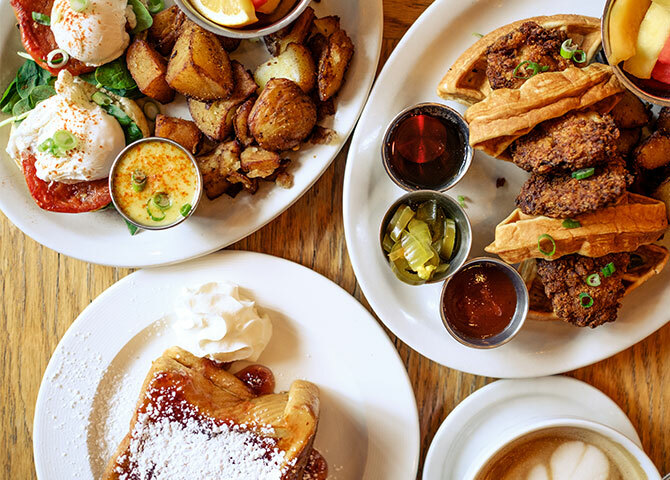 Try the knockout chicken and waffles or the eggs benny santé… you will thank me later. 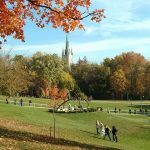 Cap off your tour of the area with a promenade up Mount Royal where you can take in the classic wintery sights from a bird’s eye view. While you’re in Montreal, you can head north about two hours and spend the day in picturesque Mont-Tremblant Village, or head west to Rigaud and indulge your sweet tooth at the traditional Québécois Sucrerie de la montagne sugar shack. Alberta’s capital city comes alive in the wintertime; with its vast landscapes, it’s a no-brainer that it made our list for spring break getaways. 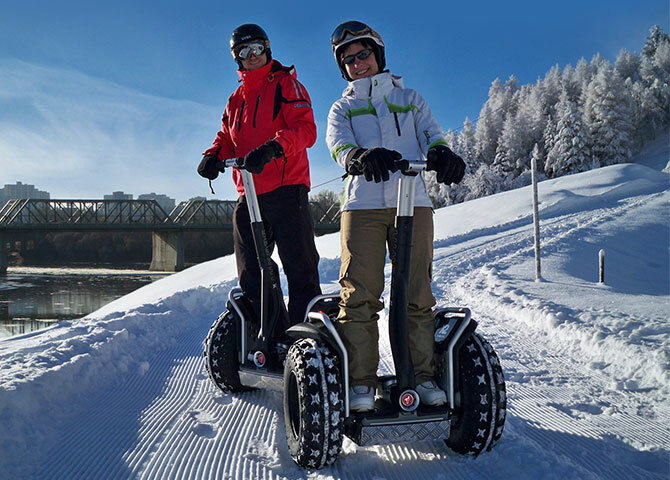 From downhill skiing to skating and dogsledding, there is literally every type of winter activity available for you to do in Edmonton, including something I’ve always wanted to try: a tour of the Edmonton River Valley on a Segway. Throughout the winter, Canada’s national parks are arguably at their most dazzling. 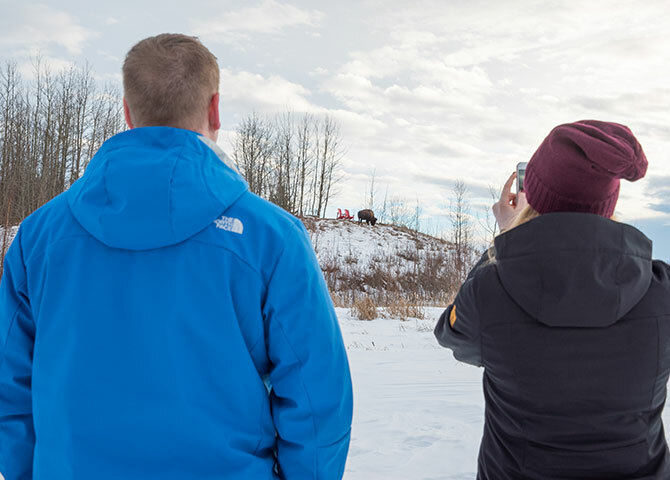 Though Alberta’s best known parks may be Banff and Jasper, Elk Island National Park is just a 35-minute drive away and offers visitors an unmatchable experience. Like the name suggests, elk and other animals including moose, deer, bison and wolves roam freely through the park and you can spend the day wildlife watching. In the evenings, with the city center far enough away, you can stargaze while you snowshoe and learn about the different constellations without much interference of artificial lighting. To round out your trip on the weekend, the Old Strathcona Farmer’s Market is open 12 months a year on Saturdays. Here, vendors sell all types of artisanal products from fresh produce and baked goods to clothing and accessories. If you’re looking for a delicious dining experience, we highly recommend Corso 32 for a heavenly risotto and other classic Italian dishes. 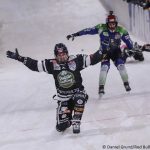 How does the old adage go, “It’s not the destination, but the journey”? If you’ve always wanted to experience the romance of a long distance train ride, there’s no better time than over spring break. 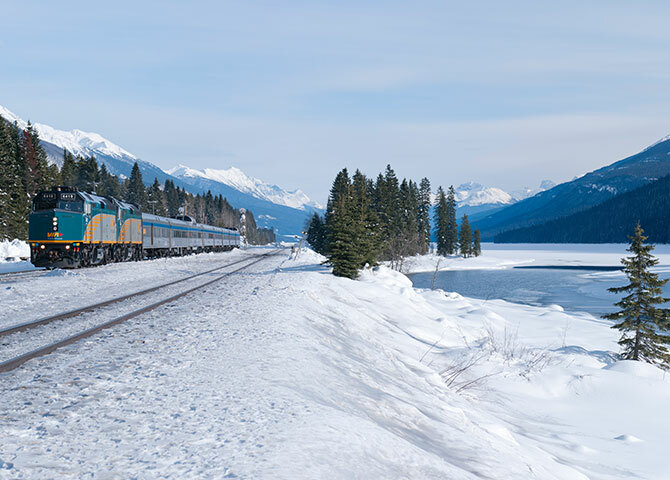 Hop on VIA Rail’s Canadian train and crisscross the country over three days and four nights from Toronto to the west coast, passing through the Prairies and the rolling Rockies. Sit back and take in the views on VIA Rail’s Canadian train. Passengers can relax while dining on regional specialties, and watch dozens of movies and television shows like Mansbridge One on One. Once you’ve soaked up the spectacular views, there are countless things to do and see when you’ve reached your destination in Toronto or Vancouver, or any of the other cities along the way. If you’d rather take in the swoon-worthy sights of Northern Canada, why not board one of five Adventure routes and discover the landscapes between Jasper, Prince George and Prince Rupert. This train even makes an overnight stop in Prince George, so you can spend a little time getting acquainted with the town. Canada is so rich in natural beauty, why not enjoy it in on the train this spring break?